The Fordham Neighbourhood Plan was made by East Cambridgeshire District Council on 18 December 2018, following independent examination in summer 2018 and referendum in November 2018. It is the first made neighbourhood plan in East Cambridgeshire. The Fordham Neighbourhood Plan forms part of East Cambridgeshire's Development Plan and is used by the Council in determining planning applications. 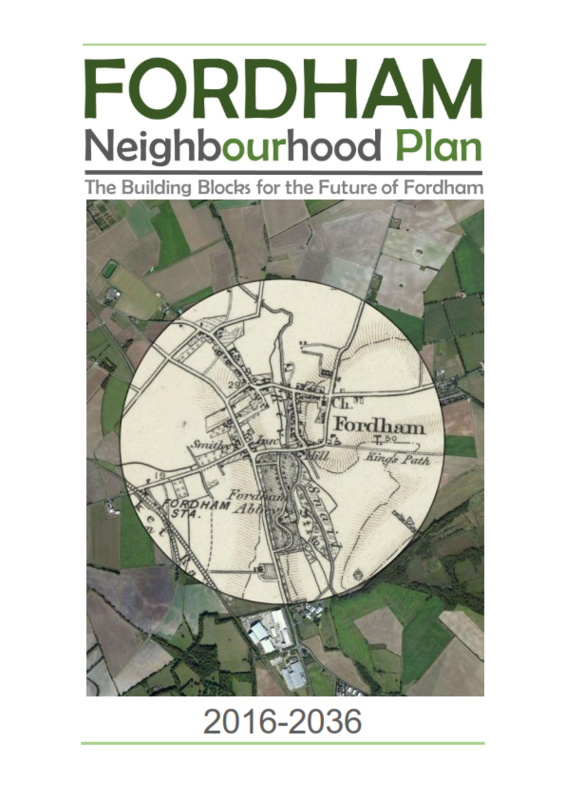 The Fordham Neighbourhood Plan and supporting documents are available to download from the document library, below.